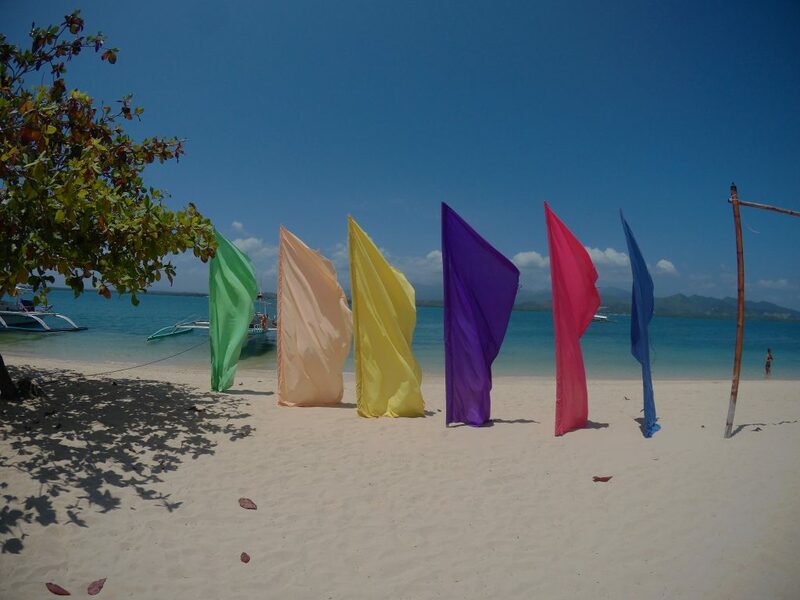 Are you planning to have your vacation or visit in Puerto Princesa, Palawan? Let me help you plan your travel using this comprehensive guide with complete itinerary and DIY suggestions for your own 3 days and 2 nights (3D/2N) tour! 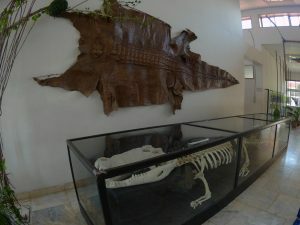 This post is the last installment of Puerto Princesa, Palawan series. If you missed the earlier articles or need to go back, use the links below. * Plane tickets cost not included. Puerto Princesa is one of the hottest destinations in the Philippines. Not only providing as the cheapest way to get into El Nido, Palawan but also have it’s own Puerto Princesa Underground River that is worth visiting for. So, finding an accommodation is really not a problem regardless of your budget. Provided, that you book ahead of time especially if you are coming or having your vacation during peak season. As we asked, the peak season is from the months of March to June, having April and May as the busiest months of the year. That’s a good news! It will leave you many many months as an alternative. For us, we targeted an accommodation that will only cost us Php 1,000 per night max. 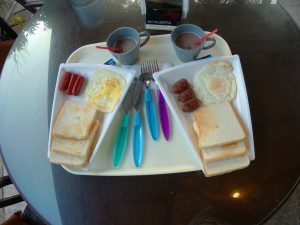 You already have many choices in this price, and others already offer a complimentary breakfast too! During our stay in the city, we spent the night in Matutina Pensionne House. 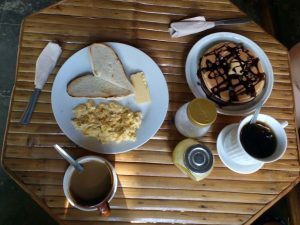 For our Sitio Sabang stay, it is with Cafe Sabang. Both are budget accommodation but the latter proved that it really has a rustic appeal. Make sure to book your accommodation at least 3 weeks ahead of time especially during peak season. The easiest way to go Puerto Princesa, Palawan is via plane. Cebu Pacific, Philippine Airlines and AirAsia have several flights per day from key airports going to the city. An alternative way is to go via ferry from Manila, but trust me, yes, it will be cheaper but you will not like a more than 24 hours travel. Are you going to trade this with a less than 2 hours travel via plane? Hmm, we are going to a vacation to relax and unwind, anyway. So, let’s talk about plane ticket cost. Average ticket cost can go anywhere around Php 2,000 – 4,000 one-way. But of course, you are planning this right on a budget so you should not pick a ticket with a price that high. We are able to get a round trip ticket for only around Php 2,000 per person during AirAsia’s sale. This can go lower, but you will be forced to follow flight schedules you may not like. Watch out for seat sales like this and you can really save lots of money. If you know how to drive, you can rent a motorbike for Php 500 for the whole day or Php 100 per hour. You can find these motorbikes just beside the airport or just ask your hotel about this, they can help you find one. Since I love doing things online, our trip to Sitio Sabang (PPUR Drop-Off Point) was booked ahead of time via Biyaheroes/Lexxus Shuttle Service. 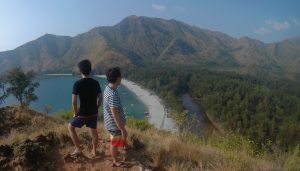 The trip cost us Php 200 per person, one-way. When it comes into food, expenses will vary greatly on a person-to-person basis. Assuming you behave the same like us (WT. behave? ), you will spend anywhere between 300 to 700 pesos per meal (2 pax) on a restaurant. This is because you wanted to try what the food is in Puerto Princesa, Palawan. If you are not okay spending higher than usual, your favorite fast food chains are all in Puerto Princesa. Carinderias are also available. You have many choices when it comes into food. 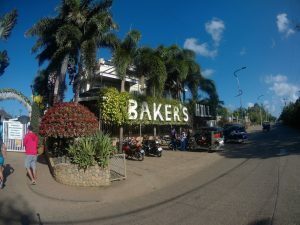 If you go the other way, Balinsasayaw Restaurant, Badjao Seafront Restaurant, La Terrasse, KaLui Restaurant and others are all waiting for you to dine with them. And of course, you may want to try eating right in front of the Baywalk for a cheaper but tasty experience. 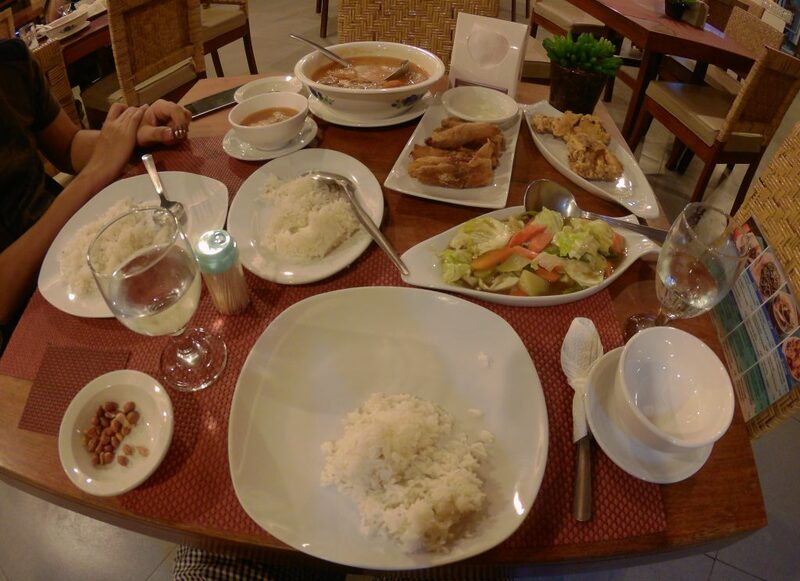 Our dinner for two in Marianne Hotel through Maple Travel and Tours. Do note that tour packages costs are higher during peak season. Also, look carefully on the fine print of the package. Some may seem to cost higher but offer some extras like buffet lunch or dinner compared to the cheaper ones. Plan your trip ahead of time, list places that is near each other so that you aren’t going into places then going back again, skipping the opportunity to save time and money. Book accommodation in advance, and target travel dates that has less tourist coming in. Prices are typically lower during off peak season. For trips like Puerto Princesa, try to get a flight schedule the earliest time of the day possible for your arrival, and late night departure for your last day. This will get you into the place early morning, maximizing your time and saving money for accommodation cost. Consider chartering a vechicle instead of utilizing public transport if the price is reasonable. This may sound not-so-okay for budget conscious, but this will give you more time to explore destination. To help you better plan your tour, see the map below. Places to visit, where to eat and other areas in Puerto Princesa is pinned on this map. To view our followed itinerary, visit the main article, The Plan and Itinerary here. Just jump on the bottom part of the page. Below are our actual expenses during the trip. You may want to check so you can have an idea on how much you need to include in your own budget. I did not include the cost of our plane tickets as it was paid several months before the trip. Let’s start listing the expenses as we had set foot in Puerto Princesa. * we are not prepared for this. I can say that our trip to Puerto Princesa is a successful one. But of course, there are more reasons to go back here and also check other nearby places like El Nido and Port Barton. I hope this article helped you plan your own escapade to Puerto Princesa, Palawan!